Hi, welcome to SalesSeek. Before we begin it's important we take you through the key elements that make SalesSeek great. Let's get started. Individuals are broken down into two groups. There are People - the individuals you meet and have relationships with. These might be advocates, advisors or just friends you want on your mailing list. Then, there are Leads - as shown here on your dashboard - the main lead section. These are individuals that have come from a defined source. Like a contact form on your website, an event or maybe your social networks. They are individuals that lead you to an opportunity and they are usually linked to an organisation. You can select the lead source from the edit menu (which appears when you select a contact). Organisations are the companies that represent your individual contacts, they're also the gateway to create a deal. For an individual to turn into a potential sale, they must be aligned with an organisation. This is where your funnel comes in. You can manage your deals using the Visual Funnel, which is fully interactive. You can hover over a deal to get the basic information, or click a deal to get a full break down. With the Visual Funnel you've always got an overview of what's happening and the momentum of your sales pipeline. 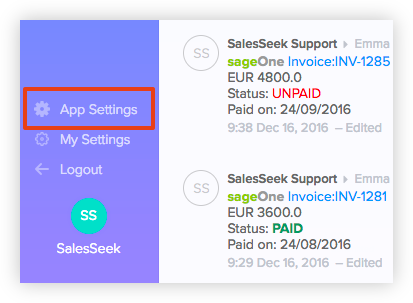 SalesSeek supports multiple sales processes. We call it Multi-Funnel. 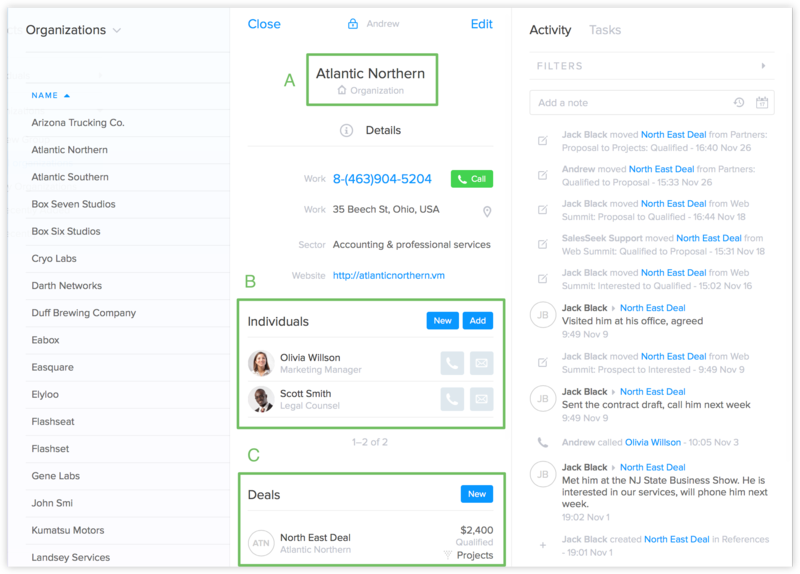 You can create as many funnels as you like, each funnel can have different phases to map your sales processes. 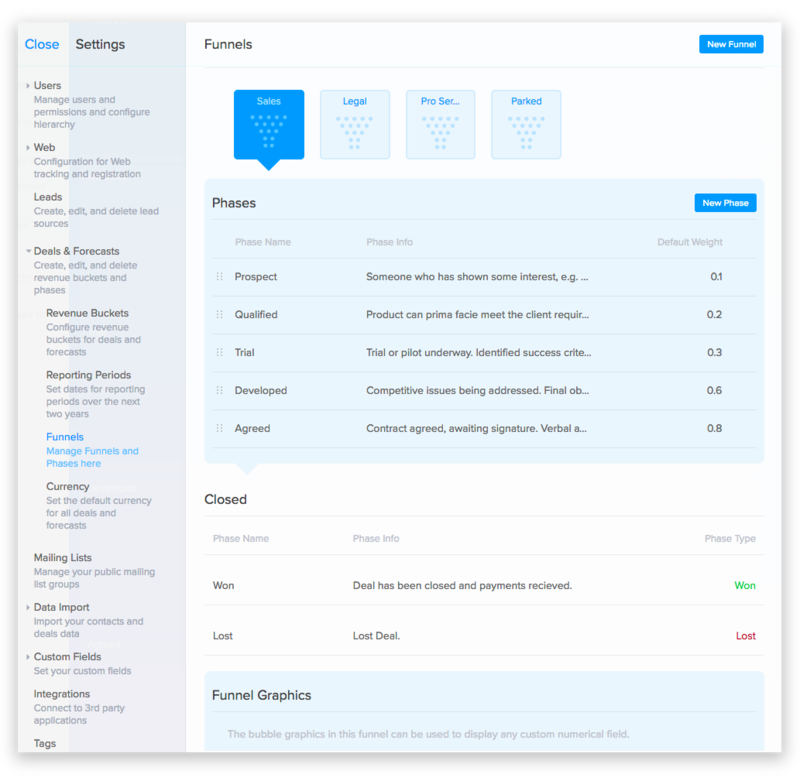 To add or edit your Funnels and Phases go to App Settings > Deals and Forecasts > Funnels. Head to the App Settings screen. There you customise SalesSeek to your needs. You can manage users, connect your web and social, set up your funnels and phases, as well as import any existing data you may have. 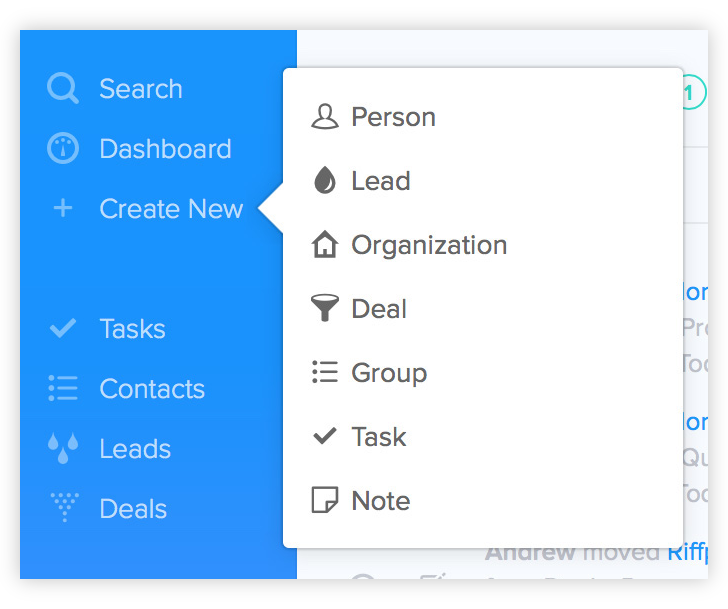 Whenever you are in the app you can use the + Create New button to quickly add a person, lead, organisation, deal group, task or note. If you've still got questions? Click on the chat button to talk directly with the team.